Children drop out of school for various reasons. For 15-year-old A. Muthulakshmi, a Dalit girl suffering from partial hearing loss, a malfunctioning hearing aid effectively ended her schooling. The teenager, hailing from a poor family in Peravoor, was in tears at the Collectorate here on Monday as she could not pursue her education after her teacher asked her to leave the school for the simple reason that she could not hear properly in the classroom. As her education came to an abrupt end, Muthulakshmi visited the Collectorate with her parents to request Collector K. Nanthakumar to provide her a sewing machine to supplement family income. However, officials turned her away saying she was still a child. Muthulakshmi was a normal child till the age of 11 when she suffered partial hearing loss. She was studying at Peravoorani Government High School and continued her studies with the help of hearing aid. In 2014-15, when she was in Class X, water seeped into her hearing aid and stopped working. Her class teacher pulled her up for not being attentive and sharp like other students. When she explained her difficulty, the teacher, instead of helping her to buy a new hearing aid, asked her to leave the school. “I cried before the teacher asking her not to send me out of school. But, she stood firm and I was soon given a transfer certificate,” Muthulakshmi told reporters. 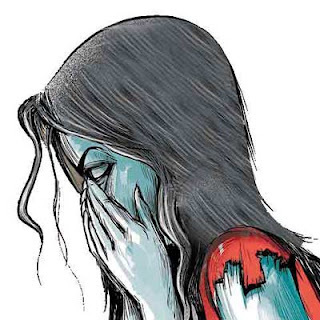 Her father K. Azhagan, a sanitary worker at the Peravoor Panchayat Union, said that he had also pleaded with the teacher to allow his daughter complete at least Class X, but in vain. With no other option, Muthulakshmi joined ‘Sigaram Vattara Kalainjiam’ and underwent a three-month cutting and stitching course in tailoring. “I am scared of being humiliated,” said Muthulakshmi when asked whether she would go back to school if she gets a new hearing aid.